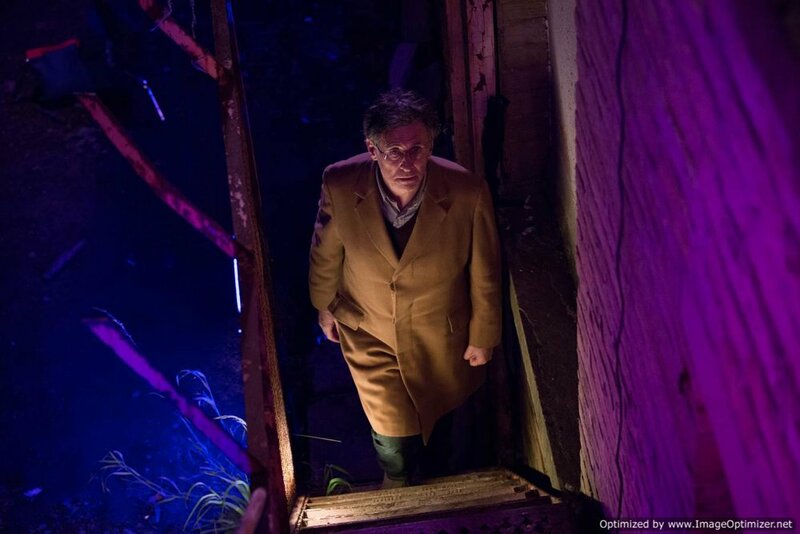 Donald (Gabriel Byrne) The taciturn and loyal chauffeur to a wealthy property tycoon (Harvey Keitel’s Demi) is content to live in the quiet rural outskirts of Bradford with his brother in law Billy, working when needed for Demi and keeping himself to himself. Until Demi’s unexpected death. Demi’s last request of his Chauffeur and confident is to protect his reputation by clearing up the apartment Demi kept for an affair with a young British Asian woman so that the dead man’s family will not find out about it. Accepting this one last job for the sake of loyalty and to protect his employers reputation brings Donald face to face with Amber (Sybilla Deen) the secret mistress. An act of kindness by Donald draws him into Ambers world, a culture within a culture that is Bradford’s Asian community, and sets them both and those near to them on a journey through betrayal and loyalty, revenge and redemption, faith and intolerance. Set in Bradford and with an incongruously A-List line up, this is a film of contrasts straight off the bat. For those unfamiliar, Bradford is a small post- industrial City in the north of England originally famed for Fabric Mills. Bradford saw an influx of Immigrants from the Indian subcontinent in the sixties and seventies and as this population of new arrivals settled, grew and became established, Bradford has seen the growth of a vibrant and changing cultural landscape. East has met and mingled with West, inspiring new directions in Film, Literature, Music, Food etc. However isolation, suspicion and hostility from some quarters of the communities have maintained feelings of division and, sadly, occasional episodes of racial/cultural tension have also brought Bradford to Media attention. Various politicians and pundits through the years have exploited this complex, often tragic situation for soundbites and sensation. In this City, some parts of the older, more conservative immigrant communities live entirely within their own customs and ways where Men and Women’s roles in life are governed by traditions dating back centuries. Donald meets Amber, Mistress to his dead boss, Legal Student and almost exile from her own community. Defending her from an assault when taking her back to her parents house draws Donald into her life and his presence there as a British man and unbeliever complicates things further. Amber’s family are in debt to local Drug Dealer KD, Amber’s cousin and childhood friend. KD is a volatile amoral thug who has given himself free reign to do as he pleases in the community, he also happens to have been infatuated with Amber and doesn’t care who he hurts to court her attention. Amber carries wounds from a terrible secret the two share that cause her to hate him but is nonetheless appears powerless to escape his influence no matter how hard she tries. The film tells several stories at once, initially approaching Demi’s infidelity and the fact is with a young British Asian Woman this would be a film in itself. Cross-cultural affairs of this nature would be involving enough, however this turns out to be the tip of the iceberg as the story evolves to take in where Demi’s death leaves Amber, Exactly what Amber’s family owes to KD and how far he’ll go to get repayment (Heres a hint. Its not really about the money) and what help if any Donald can give Amber. Added to that, KDs expectant baby mother is a trash talking anglo convert takes every opportunity to attack Amber out of well placed jealousy. And Donald himself is nursing his own private pain over a tragic loss, not his deceased employer but his daughter. Looking at it now as I write this, there is an enormous amount going on in this film, but surprisingly it doesn’t feel crowded or jumbled at all. The early establishing scenes were perhaps notably lengthy but never tedious. They set up Donald’s persona nicely. Gabriel Byrne’s skill and sheer presence are fulfilling to watch and the man portrays the dour quiet Yorkshireman excellently. The oddness of seeing Gabriel Byrne driving Harvey Keitel, two greats of Hollywood cinema, on country roads past places like Skipton, Bingley and Airedale is just not to be missed. Donald’s brother-in-law Billy is superb. Mark Addy returning to a friendly Jovial role as comedy foil to Byrne. It's hard to reconcile him as the troubled King Robert Baratheon from Game of Thrones. The two share a ramshackle farmhouse on the edge of Bradford and without the friendly camaraderie the two share Donald’s pain and inner darkness would consume him and would cast too much of a shadow over the film. Donald’s relationship with Amber, although starting out so awkward and mutually resentful, evolves into something wonderful. Amber’s extraordinary strength and courage drawing the same qualities from Donald at a point in his life when he thought them lost forever. The film ties a lot of narrative threads together, maybe a little awkwardly at first but once each story is set it flows seamlessly. Demi’s appalling son deftly played by Reece Ritchie (going for best portrayal of a privileged scumbag this year) slots right in at the point where you think Amber has enough to deal with. 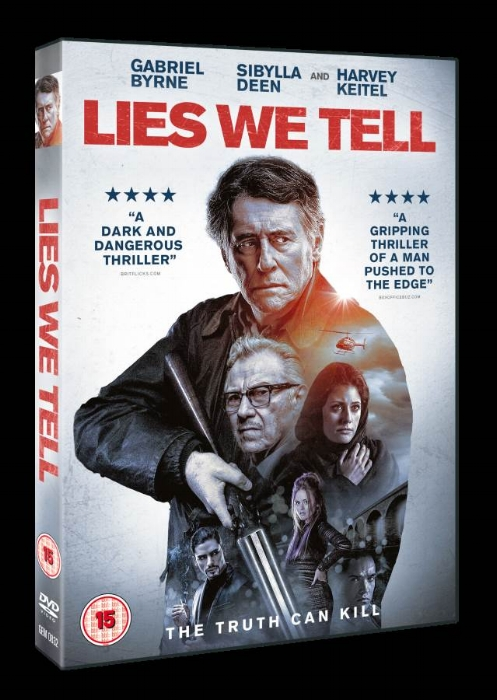 Lies We Tell is well scripted for such a challenging topic, Carefully crafted and shot and making excellent use of an experienced professional cast. The City and surrounding countryside of Bradford is lavishly depicted in all its glory and its ordinariness and for a first time feature this is an outstanding achievement. This is a really really watchable film. The story just keeps building and there are some high impact surprises along the way, but it is nothing like how the poster would have you imagine. It is about several personal journeys colliding and not a lone vigilante waging one man justice on the unjust. It’s still a nice poster it’s just meant for a different film and it doesn’t account at all for the fact that Amber, her sister Miriam, and even Tracey who have the real battles. Their futures maybe even their lives hang in the balance and this is where the film’s most disturbing revelations lie. These predicaments and choices are the daily reality for many many women. Don’t watch this if you want shootouts in desolate locations and bad guys dying like flies. DO however watch this if you want to see a truly original perspective, an as yet unfamiliar source for film in this country that also happens to be hugely entertaining, unsettling and maybe even illuminating.